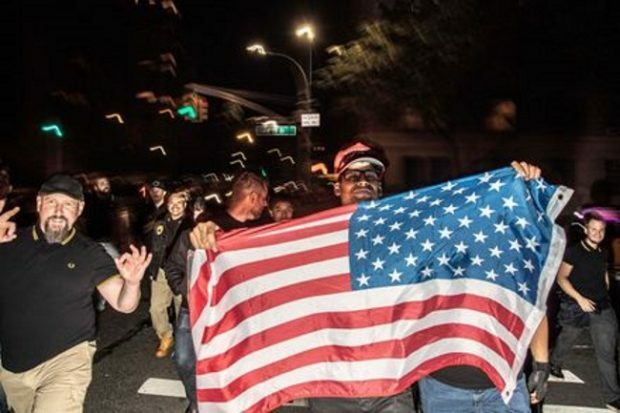 Governor Andrew Cuomo blames only one side for last week’s brawling between young right-wingers and left-wingers. New York governor Andrew Cuomo reacted to last week’s calculated political violence on Manhattan’s Upper East Side with a typically scattershot blast of election-year bombast—ignoring the instigators of the incident while calling out the other side and then blaming it all on President Trump. Mayor Bill de Blasio and City Council Speaker Corey Johnson were equally skewed in their criticism. All three seemed to agree, though, that what happened was a Really Bad Thing. As indeed it was: premeditated street brawling, long a harbinger of serious social disorder, had come to New York, and while it was quickly contained by the NYPD, it marked an escalation of the increasingly hard-left street theater that has plagued the city—often with the acquiescence of its elected leaders—in recent years.